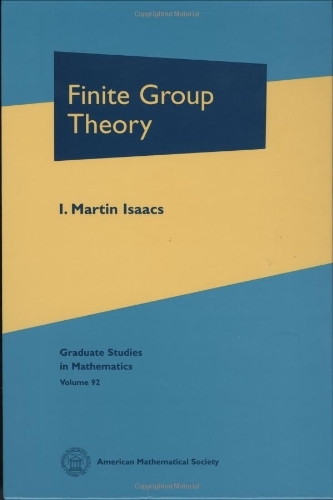 [PDF] Finite Group Theory (Graduate Studies in Mathematics, Vol. 92) | Free eBooks Download - EBOOKEE! Description: The text begins with a review of group actions and Sylow theory. It includes semidirect products, the Schur-Zassenhaus theorem, the theory of commutators, coprime actions on groups, transfer theory, Frobenius groups, primitive and multiply transitive permutation groups, the simplicity of the PSL groups, the generalized Fitting subgroup and also Thompson's J-subgroup and his normal $p$-complement theorem. Topics that seldom (or never) appear in books are also covered. These include subnormality theory, a group-theoretic proof of Burnside's theorem about groups with order divisible by just two primes, the Wielandt automorphism tower theorem, Yoshida's transfer theorem, the ``principal ideal theorem'' of transfer theory and many smaller results that are not very well known. Proofs often contain original ideas, and they are given in complete detail. In many cases they are simpler than can be found elsewhere. The book is largely based on the author's lectures, and consequently, the style is friendly and somewhat informal. Finally, the book includes a large collection of problems at disparate levels of difficulty. These should enable students to practice group theory and not just read about it. Martin Isaacs is professor of mathematics at the University of Wisconsin, Madison. Over the years, he has received many teaching awards and is well known for his inspiring teaching and lecturing. He received the University of Wisconsin Distinguished Teaching Award in 1985, the Benjamin Smith Reynolds Teaching Award in 1989, and the Wisconsin Section MAA Teaching Award in 1993, to name only a few. He was also honored by being the selected MAA Polya Lecturer in 2003-2005. No comments for "[PDF] Finite Group Theory (Graduate Studies in Mathematics, Vol. 92)".